For the first time since 1988, the Northeastern Huskies have won the Beanpot Tournament. Typing that sentence, saying it aloud, thinking it in my head- every time, it gives me goosebumps and brings a tear to my eye. Thirty years of waiting, hoping, and ultimately leaving TD Garden heartbroken culminated in a decisive 5-2 victory over the Boston University Terriers on Monday, February 12th, 2018. 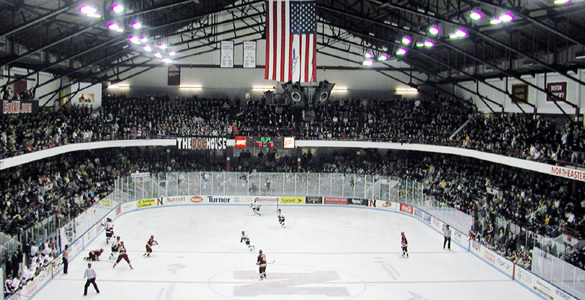 In front of a sold out crowd that included more than nine balcony sections of students, alumni, and supporters, the Huskies vanquished their final demons and ended their streak of futility behind 38 saves from freshman goaltender Cayden Primeau and a hat trick from eventual Beanpot Most Valuable Player Adam Gaudette. The Game: With the Northeastern faithful shaking the foundations of the TD Garden with their cheers, the Terriers struck first and silenced Husky Nation when a Logan Cockerill shot from below the goal line richocheted off of Primeau’s stick and just inside the left post. With just over 8 minutes to go in the first period, Huskies fans feared the worst, having seen many soft goals allowed by Northeastern goaltending cost them dearly over the years. However, the pride of the Huskies, their vaunted, high-octane powerplay, would prove to be the X factor, scoring twice before the end of the period to give the Huskies a 2-1 lead going into the first intermission. The first goal was an absolute one-man-show by Nolan Stevens, who dangled around defenseman Chad Krys before further dangling goalie Jake Oettinger and tucking the puck around Oettinger’s right pad. It was Stevens’ 20th goal of the season, his second 20-goal season as a Husky. Not to be outdone by his captain, Adam Gaudette tallied the first of his three goals with 2:28 left in the period, finishing off a Dylan Sikura cross-ice feed into the open backside of the net. The goal was Gaudette’s 22nd of the year, moving him into first place in the nation in that category. In the second period, BU held a 14-5 overall shot advantage, trapping the Huskies in their own zone for quite some time, but never being able to solve Primeau. He had numerous highlight-reel saves, including robbing Hank Crone as he danced past Ryan Shea and attempted a backhand from the slot. Primeau held the Terriers at bay until Paddy Schule fed Trevor Owens, who skated down the side of the ice before sniping a shot off the crossbar above Oettinger’s shoulder and giving the Huskies a 3-1 lead. Owens’ goal would prove to be the game-winner. Poor Terrier discipline led to a late Northeastern powerplay in the second period, and as time was expiring, tic-tac-toe passing starting with Jeremy Davies at the point found Sikura on the point, who did not hesitate to find Gaudette in his office again on the backside. From an impossible angle, he fired the puck off Oettinger’s skate and into the net with 3.5 seconds remaining in the period, a dagger to the hearts of Terriers and Terrier faithful everywhere. On top of all that, it was this powerplay score that gave Gaudette the Northeastern program record for career powerplay goals (31). In the third period, both goalies stood tall, withstanding a barrage of shots. Primeau in particular was impressive, as the effects of being down three goals caused BU to fire nearly every possible shot on net. 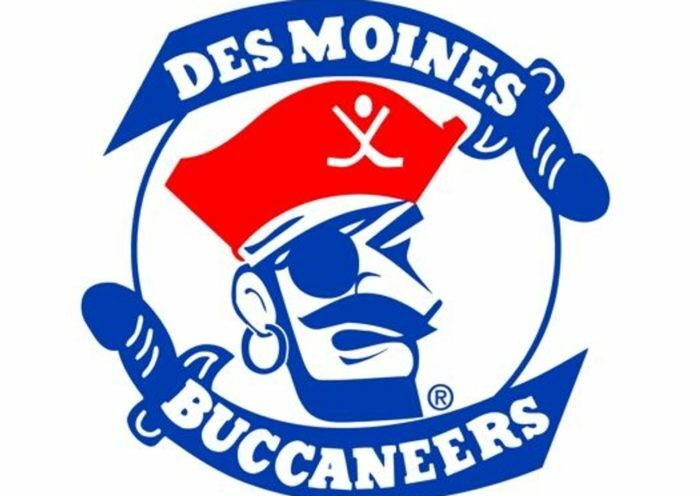 They were not able to crack his armor until there was 2:40 left in the period, when a failed clear attempt towards an empty BU net resulted in Logan Cockerill feeding Shane Bowers in front, who got just enough on the shot to squeeze it through Primeau’s pads and over the line. The Huskies would not be denied their destiny, however. After the puck was cleared past Krys, he and Gaudette foot raced into the BU zone, where Gaudette picked his pocket and slid the puck into the empty net, sending the Huskies and their fans into pandemonium thirty years in the making. After the Elite Line, the best line for the Huskies consisted of Paddy Schule, John Picking, and Austin Goldstein. Thriving in their roles on the fourth line, they created havoc for BU throughout the game, causing own-zone turnovers, driving the puck deep into BU territory to prevent breakouts, and getting some good looks on net themselves. Schule and Goldstein assisted on Owens’ game winner. Picking won some critical faceoffs for the Huskies in their own zone, as did third line center Biagio Lerario. And Goldstein has to be chomping at the bit to get back to the Garden- he was denied his first Beanpot goal twice by Oettinger despite excellent looks in the slot. Jeremy Davies is an elite offensive defenseman. This may not be news, but he glides effortlessly through the neutral zone, distributing the puck like a point guard in basketball, and trusting his shot to open fire on net when he has a lane. His five shots on net was the second-most on the team. Going into the game, the Huskies had a slight overall edge in faceoff percentage, but lost the faceoff battle 37-32 to the Terriers. The Huskies also struggled mightily at even strength, being out-attempted by BU 73-36 overall. 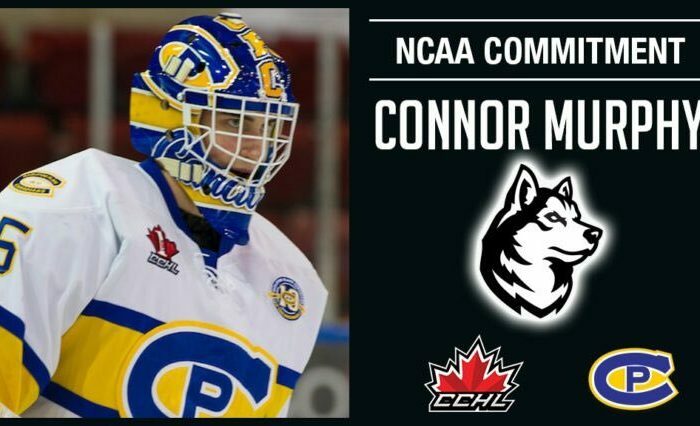 Some of that can be attributed to score effects in the second and third periods when BU was playing from behind, but it goes to show both how vital the powerplay is to this team’s success, and how stellar Cayden Primeau has been as the rock between the pipes for the Huskies. This was the first Beanpot in decades without the presence of two Northeastern legends. Jack Grinold, NU’s longtime sports information director, who was called “the heart and soul of Northeastern,” and George Makris, a former football captain at Northeastern and the first director of player development, both passed away in 2017. Both men loved Northeastern with every fiber of their being, and although I never personally met them, their names were synonymous with Northeastern hockey and Northeastern athletics. Coach Madigan mentioned in his postgame press conference how he thought of them as the clock was winding down, and how he was certain they were watching from above as their team started celebrating. Memorialized via patches on their jerseys and stickers on their helmets, Jack and George were a part of this Northeastern team from the season’s first puck drop, and played their own huge roles in getting Northeastern to this victory. More Than The Game: The impact that this win has on the institution of Northeastern University cannot be understated. Long treated as the “little brother” of the Boston hockey schools, this win ends a drought that made Northeastern hockey synonymous with a running joke that lasted for decades. Hundreds of players, thousands upon thousands of students, have poured through the doors of Matthews Arena and the TD Garden to support this hockey program. For over a quarter century, their support was answered by moral victories and fleeting hopes. 2016 started to change that perception, as the team went on the well-documented magical run that ended with a Hockey East Championship, also for the first time since 1988. That success started to cultivate a sense of belief among fans- that this program can win the longer, harder-to-win tournament; that this team can hang with the better teams and better programs in the nation; that this team can finally secure hardware that has long eluded it. Those thoughts became greater hopes, and as the players on this team developed, as the coaches taught and led, it became belief and expectation that the drought could end this year. Entering this tournament as the favorites was uncharted waters for the Huskies. Since the inception of the PairWise, they had never been the highest-ranked team come Beanpot play. This year was different. This year, they had the elite scoring talent, supported by the elite goaltender and the excellent defensive corps. 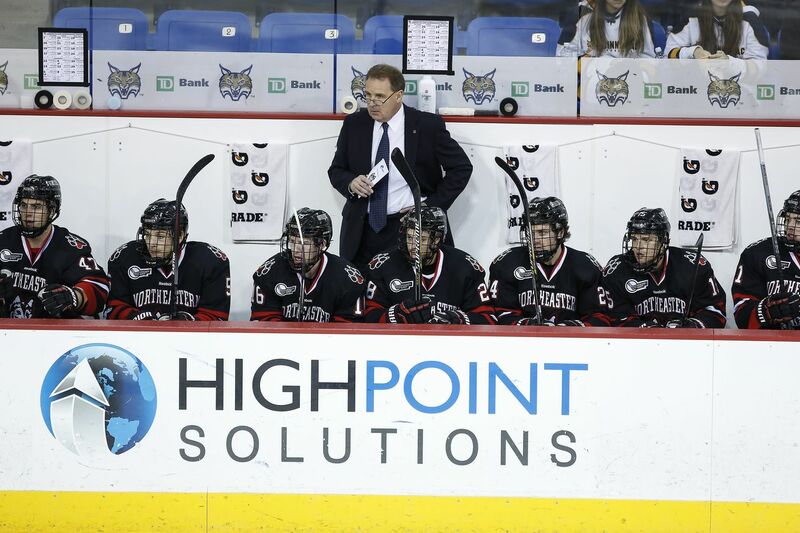 This year, the entire college hockey world had the same collective thought- Northeastern can actually do it. And now the monkey is off the back. The buck stopped here. The mountain had been climbed. For the first time in thirty years, Northeastern University reigns supreme as the college hockey kings of Boston. And with that success comes new goals in sight- a title defense. A rematch with Boston University awaits next season. The knowledge that they can win will be the backbone of the belief that, going forward, they will win. Northeastern hockey continues to advance under the watchful eye of Jim Madigan, and that progress came with a much needed stop atop a mountain that manifests every year in February. Through the years, we ever will acclaim. This one is for all Huskies, past and present. For the first time in 30 years, Northeastern has all the beans. It's time to party like it's 1988.